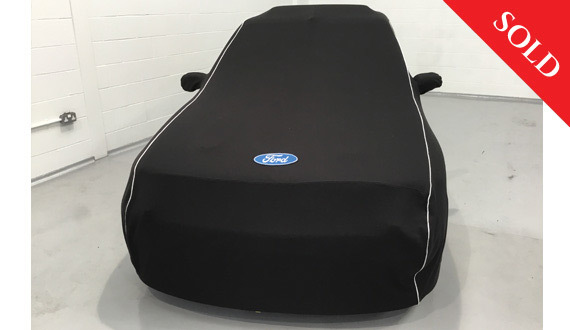 This is a very special car covering only 5,300 miles in the past 21 years (or, 250 miles per year) having been dry stored since 2003 when the MOT showed 5,200 miles. 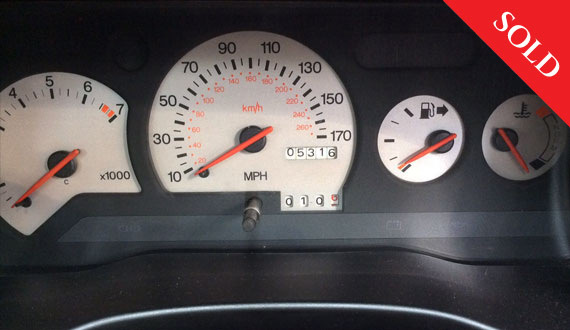 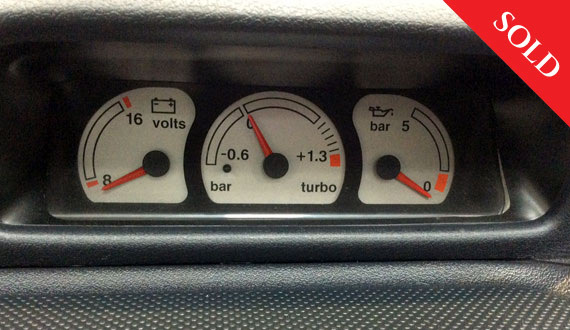 Mileage verified by all the present MOT’s. 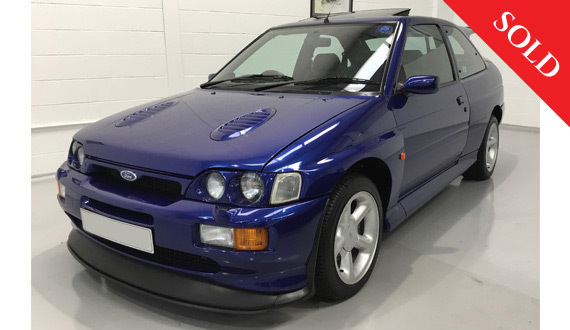 Finished in Imperial blue metallic and benefiting from the Lux pack option, this car is beautifully presented and as you would expect with this mileage, in very original condition throughout. 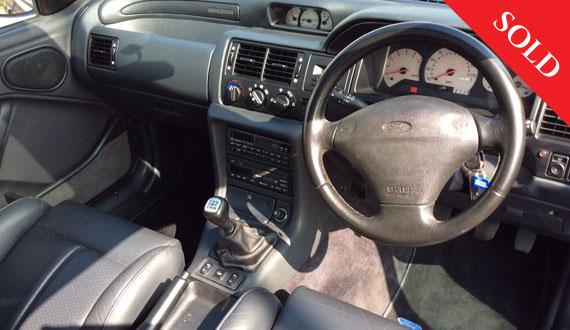 Cars of this age rarely present as well as this, with its original paint and in unmolested condition, it’s obviously had a very cosseted past. 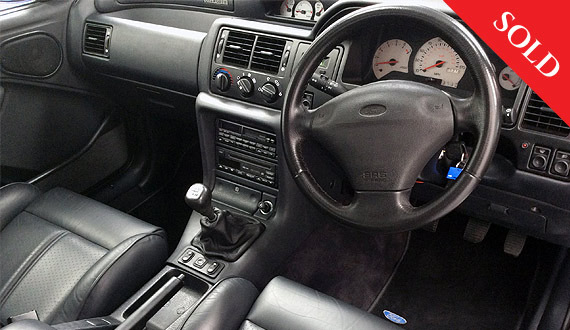 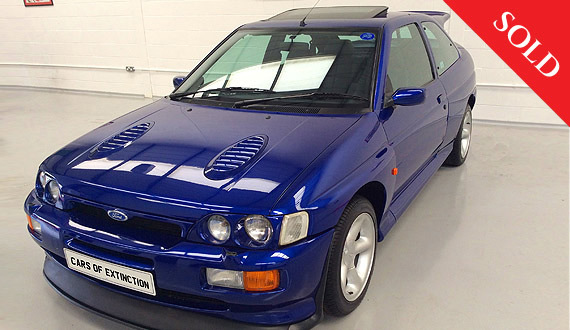 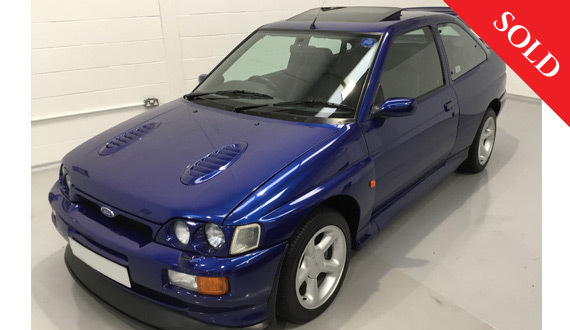 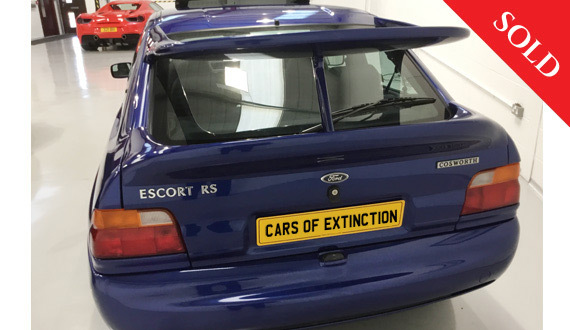 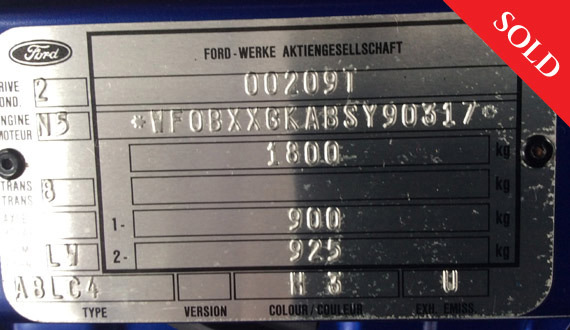 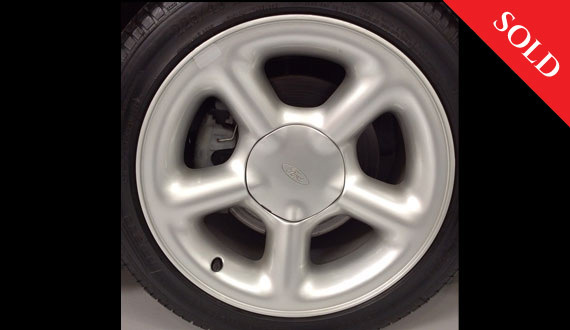 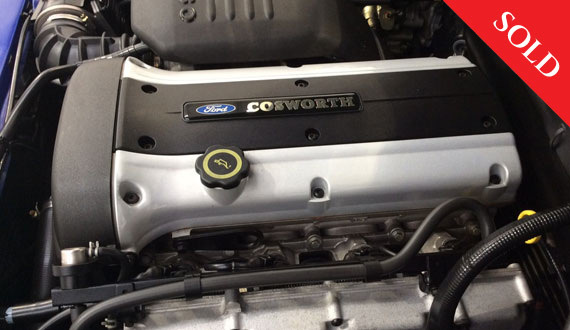 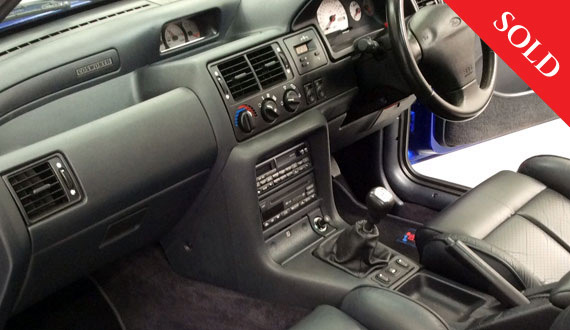 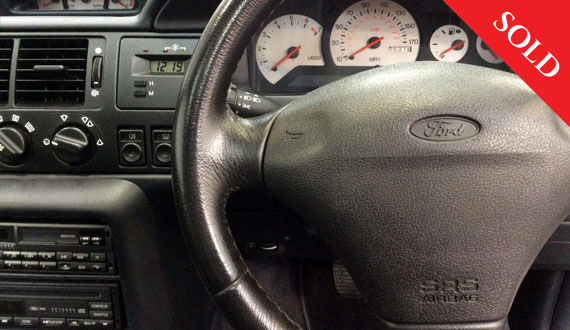 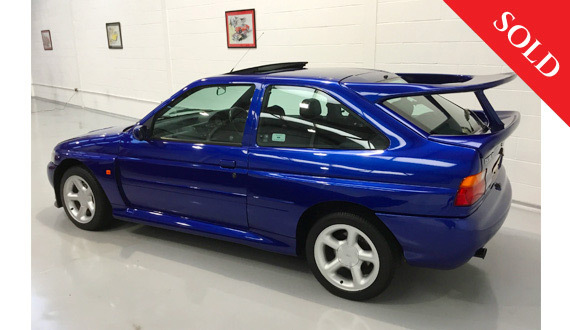 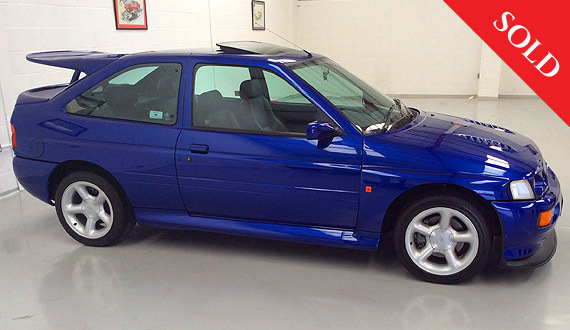 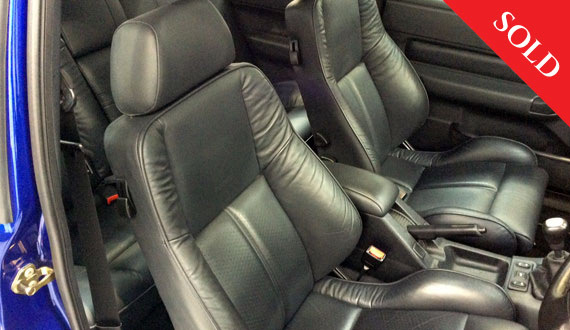 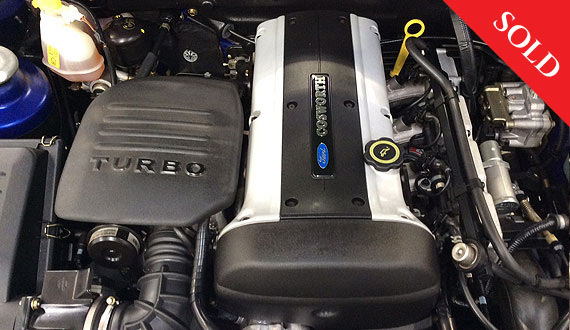 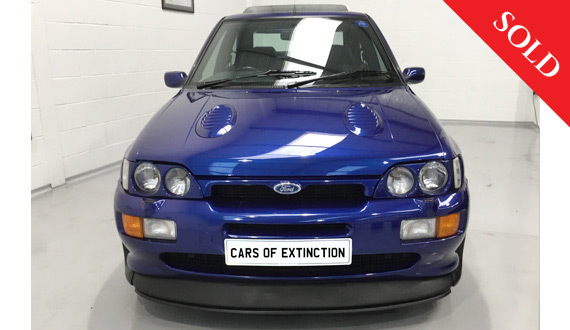 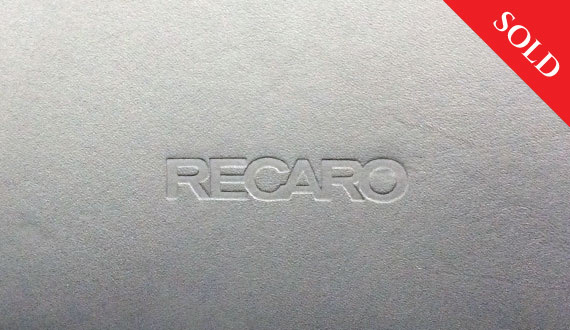 It comes complete with its 1995 owners manual, immobiliser-alarm, two sets of keys and the service book make this a very special genuine ‘eye full’ of RS Cosworth, it even comes with a fitted RS cover (see pictures) and, has the cosmetic benefit of the period special light conversion.